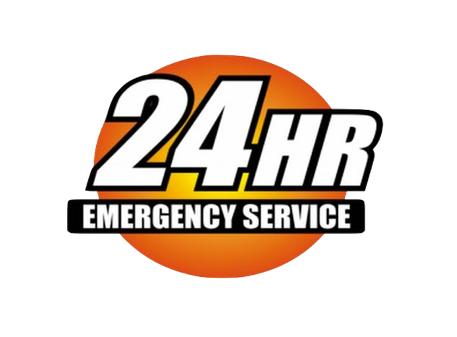 Welcome to the website of Buffalo's best roadside assistance company! Flat tires are the bane of everyone’s life. As long as you are someone who uses wheeled locomotion. Cars, bikes, motorbikes, even tractors! They all have tires and every now and then, the tires go flat. It is an unfortunate aspect of travel and most people don’t quite know how to react if this happens. Well, worry no more! Here at Buffalo Towing Company, we don’t just deal with tow trucks, we have a committed flat tire repair service as well. Whatever the problem, we’ve got your back covered! Are you in need of a service for flat tire repair Buffalo NY locals can count on? We’ve all been there. You are driving along quite happily on your way to work or home and you suddenly feel a slight weakness in an area of the car. If you were to examine it, you would hear a faint hiss and if you leave it for long enough and keep on driving then the tire starts to loose its shape with each new revolution of the wheel, making a deeper sound because it has lost the firmness of compressed air. This is a nightmare scenario for many of us out there. Being stranded on a road away from home is not a good place to find yourself in, especially first thing in the morning! If you're looking for a cheap tow truck service in Buffalo New York then we advise that you be cautious. This is because not all towing services are the same; some don't have insurance and others do not meet safety standards. Our car towing prices are very competitive and all of our drivers are professionally licensed and trained. Have you been searching for a car towing near me service? If you live in the Buffalo area, and you are a car owner, we have great news for you! If you don’t, tough luck. This is for the folks in the community and for guests who pass through. We have been dealing with flat tyres for long enough to know that it is not rocket science. Anyone can fix a tire. Heck, even the countries without properly fixed roads have roadside mechanics that fix tires by sticking a bandaid over it! But the really important thing is the way that the service is delivered. If you have a flat tyre, you aren’t going to be wondering whether the mechanic will be able to fix the tire. ​Ultimately, what you will be worrying about is how long it takes for a mechanic to arrive. When will they get here? Will they be able to find me? Will this be more of a hassle than it is worth? Well, the answer to all those questions is positive here at Buffalo Towing Company. We have the tools to get the job done and a team that will reach you quickly and efficiently. ​We have state of the art GPS systems which mean that we will find you as fast as humanly possible to try to diminish your waiting time. Then, we will work quickly to get you back on the road, back in the game and ready to complete your journey. We even offer a for Buffalo junk car removal service local residents. So, there we have it! If you want a hassle-free, efficient and cheap flat tire service, then you know who you need to be in contact with. Get in touch today or save our number to ensure repairs for the future. We would love to hear from you and help you with any roadside assistance flat tire issues that you have experience.